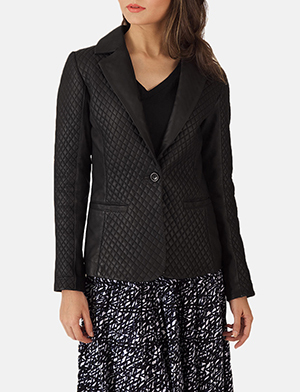 Blazers for women enjoy a remarkably wide arrangement of multiple qualities that make for an interesting category to start with. Whether you go by fabric, fit, finish or style, all of these and more; have undergone a notable revamp that makes this one of the most popular areas to shop. 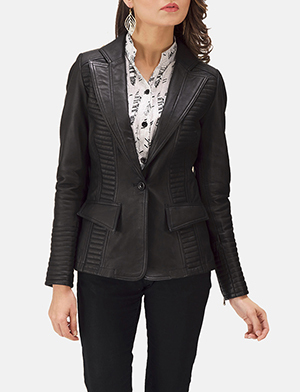 Blazers for women being a wardrobe staple from a style point of view as well as for functional neccessity, you will find an impressively wide assortment offering variety that many women often dream of. 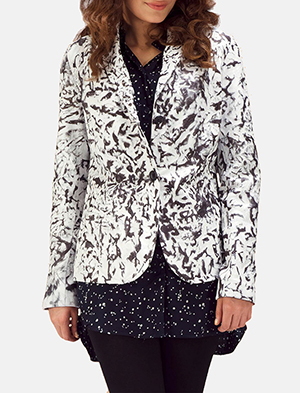 Blazers for women can be found in various colours, fits, finishes and crafted to enhance your personal style. 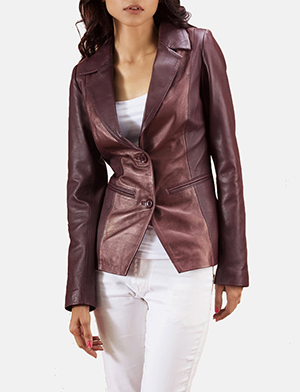 Many of the blazers for women at The Jacket Maker are made from sheepskin or lambskin, cow or buffalo hide, treated to achieve an aniline or semi-aniline state and even finish that include burnished finish or distressed finish that is ideal for a vintage look. Materials include suede, nubuck or nappa, that give you a basic idea as to how well equipped, efficient and up-to-date we at The Jacket Maker are. Should our assortment in store not be exactly what you’re looking for, you have yet another option to customize your women’s blazer to fit your own unique style. All you have to do is make a request and let us handle the rest.